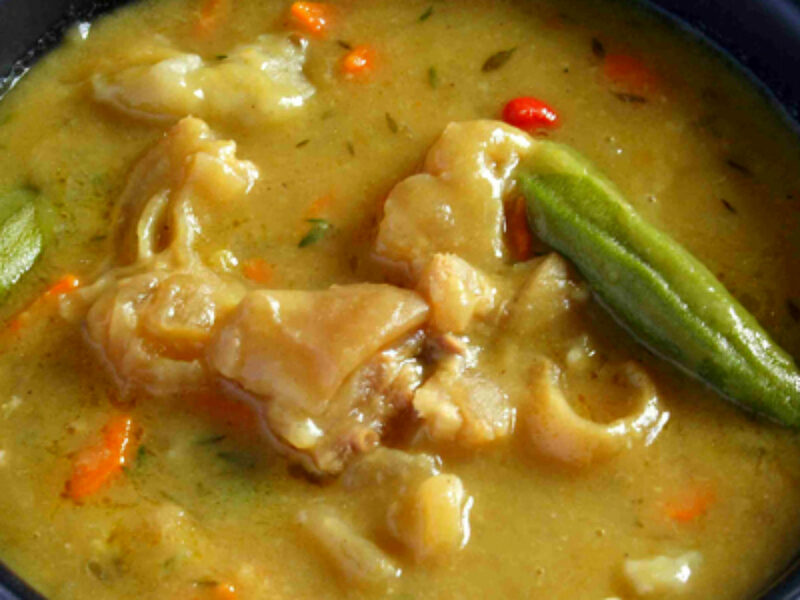 A signature Belize dish which is a stew-like soup with no meat source. It is slowly cooked so that its ingredients such as onions, potatoes, okra and carrots absorb the flavors of black pepper and cilantro. Best served with white rice, corn tortillas and habanero pepper sauce.